Buffett bought a $520.7 million stake in Synchrony Financial, a lending business GE started during the Great Depression. Billionaire investor Warren Buffett shed the last of a stake in General Electric Co. (GE - Get Report) that he acquired during the 2008 financial crisis, according to a regulatory filing on Monday, Aug. 14, while funneling an even larger amount of cash into a credit-card lender that was once part of the manufacturing conglomerate. The Berkshire Hathaway CEO's stake of more than 10 million GE shares was valued at $315.4 million at the end of March, according to the last regulatory filing that showed the holding. It was the remainder of a $3 billion investment in preferred stock and warrants from October 2008, a time at the height of the financial crisis when a key source of funding for GE's then-sprawling lending business was threatened because of frozen credit markets. The Boston-based conglomerate redeemed the preferred stock for more than $4.1 billion, including dividends, in late 2011, according to a filing. Buffet reached an agreement with the company two years later to take about 10.7 million shares in GE in exchange for the warrants, and his stake climbed about $18.7 million, or 6% afterward. The 86-year-old Buffett's sale comes at a pivotal time in GE's history, as John Flannery, the former head of its medical-equipment business, succeeds 61-year-old Jeffrey Immelt as CEO while grappling with pressure from investors to deliver higher earnings and buoy operating cash. Investors whom Flannery has met with since his promotion was announced in June have told him they want an intense focus on running the company well and more accountability, Flannery wrote in a letter to employees this month that was obtained by TheStreet. "I heard them loud and clear," he said. New GE CEO John Flannery. Prior to Immelt's retirement, the company was already facing pressure from activist investor Nelson Peltz's Trian Partners to boost earnings to as much as $2.33 a share in 2018. That was an even more ambitious target than an earlier $2 goal, which Immelt had warned might be tough to reach. Flannery has said he will outline a strategy for addressing such concerns in November and has assured investors in the meantime that the company's dividend won't be cut. 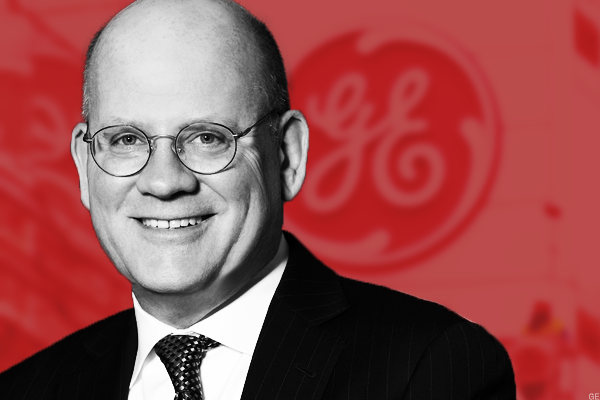 GE reported profit of $1.49 a share last year from industrial businesses and lending operations that it plans to keep, and is working to deliver as much as $1.70 this year. As for Buffett, Monday's second-quarter filing show his Berkshire Hathaway acquired a $520.7 million stake in Synchrony Financial, the credit-card lender that GE spun off as Immelt exited most of the company's lending business to focus on digital manufacturing. The Stamford, Conn.-based company's stock has fallen 15% this year to $30.94 as growing U.S. credit card debt and rising interest rates fueled concerns that some customers wouldn't pay their bills. A report from the Federal Reserve Bank of New York on Tuesday, Aug. 15, showed the percentage of credit card balances at least three months behind on payments rose 21 basis points from a year earlier to 7.38% in the three months through June while total consumer credit card debt reached $784 billion. Delinquent accounts make up about 2.74% of all credit-card debt, according to the American Bankers Association lobbying group, still well below the 15-year average of 3.65%. Synchrony's charge-offs, or debt written off as uncollectible, rose 91 basis points to 5.42% in the three months through June, although CFO Brian Doubles said it would likely decline this quarter. Updated from 5:59 p.m. on Monday, Aug. 14, 2017. Can Bitcoin Move the Needle in the Stock Market?